I’ll answer this, but first I want to tell you to keep reading because I have a very special offer at the end of this blog. I do want to say that I’m a great believer in the following quote from Thomas Foxwell Buxton: “With ordinary talent and extraordinary perseverance, all things are attainable.” World class purchasing leadership isn’t much different. When I sit down with the best executives for lunch or dinner and really get to know them, when they’re in blue jeans and the tie is off, the most amazing thing is that they really are just ordinary people. The difference of course is that they are getting extraordinary results. What’s the secret sauce? Well, I typically go through “The 7 Habits of Highly Effective Purchasing Executives” with my clients, but this is a blog, so let’s boil this down. Put a gun to my head and ask me what’s the #1 differentiator, and I’ll tell you what it is: THE ABILITY TO DRIVE CHANGE USING INFLUENCE INSTEAD OF AUTHORITY. That’s it. Simple words, incredible actions behind making it happen though. I’ve seen it again and again though. 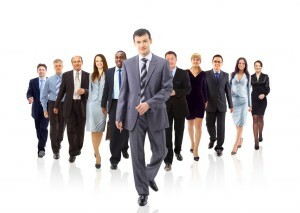 It is a common theme, and only the best purchasing executives and leaders do it right. When a leader tries to drive change using authority, they are no longer a leader. We call those people autocrats. Dictators. People you don’t like working for. People you follow because you have to, not because you want to. Purchasing leaders have to influence in every direction: their organization, their partner groups, and upwards to the C-Suite. And while all other organizations (HR, Finance, Legal, Accounting, Manufacturing, etc) have peers and C-Suite executives that fully understand and appreciate the value of those established functions, purchasing does not. Only your own organization truly understands and appreciates purchasing. Partner groups frequently view purchasing as the organization that “gets our stuff” and the C-Suite sees the value in the management of cost and supply, but the real value of purchasing is not seen. If you don’t believe me, pick up a copy of your company’s annual report and look for anything written about purchasing as a competitive advantage or strategy anywhere in the CEO’s message to stockholders. Don’t hold your breath though. The best purchasing executives have influenced the C-Suite to see purchasing as a Value Added Center of Profit for the company. The best purchasing executives have influenced peer groups to see purchasing as being critical players in driving the transformational shift from buying goods and services to buying PERFORMANCE RESULTS. The best purchasing executives have influenced their organizations the follow them not because they have to, but because they want to, and because they see value in the vision and they feel a part of that vision. Great leaders have ambassadors of their vision everywhere in their organizations. One of the best Chief Purchasing Officers I have ever had the opportunity to work with is Frank Hsiung. Frank is the immediate past CPO of Foxconn. After three failed attempts by the company to centralize purchasing across their one million + employee base, Frank came in and made it happen. Frank made the impossible possible. Frank created a centralized purchasing organization from one that was completely decentralized. He created centralized planning where there was none. He created centralized budgets where there were none. Frank created a 4,000 person purchasing organization with $40M in annual spends, where everything was done by decentralized purchasing organizations in the past. And his secret sauce was the ability to influence. Frank didn’t believe in ivory towers. He believed in coalition building. He did it better than any CPO I’ve ever seen in 20 years. And boy do I have a special offer for you. I’ve secured Frank for a live fireside chat with a select few of you on Wednesday, September 30th 2015 at 4PM Pacific Time. I’m going to moderate the session and ask him a series of powerful questions about how he drove this incredible transformation. It’s going to be the most game changing purchasing leadership training session you’ve ever attended. At the end, participants can ask questions and interact. I want the session to be intimate, with all questions answered, as much as possible. For this reason, I have limited this to 40 attendees, first come first serve. This interactive and real time webinar has an investment cost of $67 USD. That’s it. This is not about making a killing, this is about giving you the tools to become a world class purchasing leader. You’ll also get unlimited replay rights for 30 days after this leadership training, in case you miss it, or in case you want to watch again. I’ll see you there. Next post: Is Purchasing REALLY Valued in Your Organization?